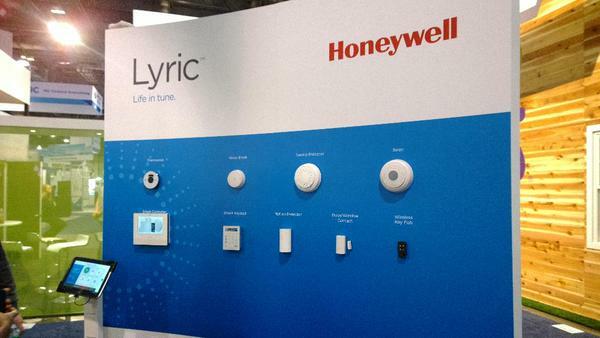 Honeywell recently announced at CES 2015 that it is adding home security system to their already impressive line-up. From focusing solely on thermostat products, they are moving to their vision of a Honeywell-powered home. 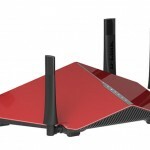 That being said, Honeywell Lyric Home Security System is their latest offering which is a step forward to having an automated home security system. The Honeywell Lyric Home Security System is the newest product offered by Honeywell. It is their first product outside of their thermostat line-up. 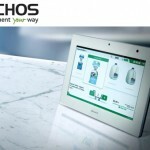 The complete security system includes not just cameras but motion detectors and smoke alarms as well which can all be controlled using a touchscreen controller that works well with smartphones as well. The goal of the Honeywell Lyric Home Security System was to give homeowners the sense of security in their own homes which they can control easily. Another great feature is that it is a complete system, not just providing users security through its camera as well as with its motion and smoke detectors. A homeowner will surely be at ease since he will have everything covered with the Honeywell Lyric Home Security System. The entire system is promising but looks complicated. For users who are not familiar with using complicated looking hardware using this might be a hurdle. Aside from this there is little information shared about the user interface of the product since it has just been launched in the last CES. There is also limited information yet regarding the price of the security system but it is assumed that you can buy as many pieces as needed to cover your home. The connectivity to smartphones also has limited information and this will be something that consumer should watch out for before purchasing the product. Also the voice command can cause a threat the security system especially if a person can imitate the owner’s voice or record the owner’s voice to be able to get in and disable the security system. Honeywell Lyric Home Security System is certainly a product to look out for especially for those who want to feel secure in their own homes. However, it is best to first look out for more updates about the new product since there is still limited information available about it. The updates will give users an idea if it is a perfect fit to their needs. Another thing that users should look out for is its price. If you are looking for a complete unit with smoke and motion detectors then this product can be the best for you. However, if smoke detection or motion detection is not an important feature for you then it is best to consider other products.